With extensive knowledge and training in the prevention, management, and treatment of disease conditions in animals, veterinarians play a critical role in ensuring good welfare on swine farms by training caretakers on the importance of timely euthanasia. To assist veterinarians and other industry professionals in training new and seasoned caretakers, an interactive computer-based training program was created. It consists of three modules, each containing five case studies, which cover three distinct production stages (breeding stock, piglets, and wean to grower-finisher pigs). 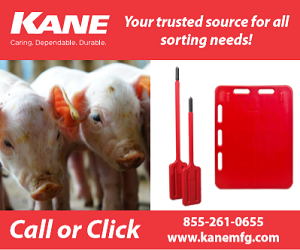 Case study development was derived from five specific euthanasia criteria defined in the 2015 Common Swine Industry Audit, a nationally recognized auditing program used in the US. Case studies provide information regarding treatment history, clinical signs, and condition severity of the pig and prompt learners to make management decisions regarding pig treatment and care. Once a decision is made, feedback is provided so learners understand the appropriateness of their decision compared to current industry guidelines. In addition to training farm personnel, this program may also be a valuable resource if incorporated into veterinary, graduate, and continuing education curricula. 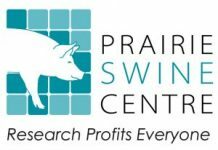 This innovative tool represents the first interactive euthanasia-specific training program in the US swine industry and offers the potential to improve timely and humane on-farm pig euthanasia.